A man is as a man does; not says, hopes, or promises. Derrick Jaxn (Jackson), a native of Enterprise, Alabama, found his purpose in his exceptional ability to impact lives by relating to others through the written world. The former student athlete turned author and spoken word poet grew up as the youngest of 5 in a single parent household. Jaxn witnessed his mother overcome life threatening illnesses while working multiple jobs, which would later become the catalyst in his drive to impose a standard of excellence, logic, and originality on a world dictated by blind conformity. Derrick Jaxn founded a non-profit teen mentoring organization Team Jaxn, won national and multiple conference football championships in the SIAC as a tight end for Tuskegee University, and beat the Generation Y statistics of being underemployed or not employed at all by garnering a sales position within a Fortune 500 company immediately following graduation. 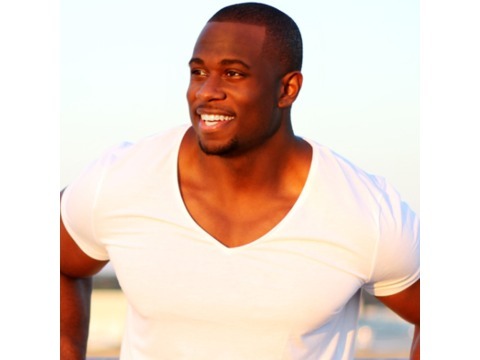 While those who know Derrick all agree that his story is nothing short of inspirational, the former Sales and Marketing major obtained his Bachelor of Science Degree from the College of Business and Information Science from one of the most well noted historically black colleges and universities and shortly after penned his first novel “A Cheating Man’s Heart”. For Derrick the real work has just begun. In less than 60 days his debut novel “A Cheating Man’s Heart” maintains a 5-star Amazon rating, has over 300 reader reviews and remains in the top #25 in genre fiction/biographical on Kindle and genre fiction/urban life in paperback books. Over 300 comments from readers are posted sharing how his book has entertained, encouraged and informed about relationships. In a short amount of time, Derrick has elevated his personal blog from being a diary of thought and perspective, to a lifestyle platform that has garnered him over 100,000 social media followers and friends. Popular articles such as “12 Things She Wishes You Understood” and “The Wake Up Call, Sincerely Trayvon Martin” have been shared among social network users over 75,000 times each. Derrick Jaxn is an authentic voice with unwavering ambition, and boundless potential to be one of the most influential men among millennials. He is ‘one to watch’.